Keep your sealed units clear and stylish with our top-quality glass replacements. As specialists in double glazing repairs, Wessex Window Repairs Ltd, in Weymouth, Dorset, are on hand to restore your glazed units. 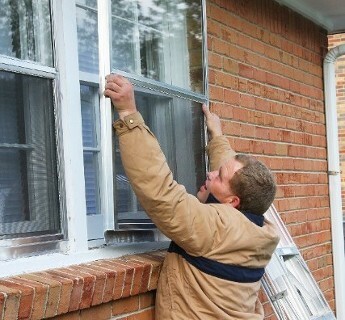 As well as providing window and door repairs, we can cater to replacing any type of glass. When your double glazing becomes misted, it generally means that the sealed unit has failed. Whether the glass is foggy or there is water in the window, we can cater to any issue. Though we normally provide a like-for-like replacement, our units come in various styles for you to choose from. We're able to bring in brochures for you to browse through. When your unit has been damaged, rely on our skills and expertise. Here at Wessex Window Repairs Ltd, we are committed to keeping the cold out and the warmth in. Whether it's for the front or back of your home or your conservatory, we can cater to any units. We'll come out and view the job, measure up to make sure we have the right size, order the parts, and then book the work in. Offering free quotes, the sealed units come with a 5-year guarantee. Contact us today, in Weymouth, Dorset, to find out more about our assortment of double glazing repairs and glass replacements.